Heat oven to 400°F. In small bowl, mix Filling ingredients; set aside. Spray large cookie sheet with cooking spray. 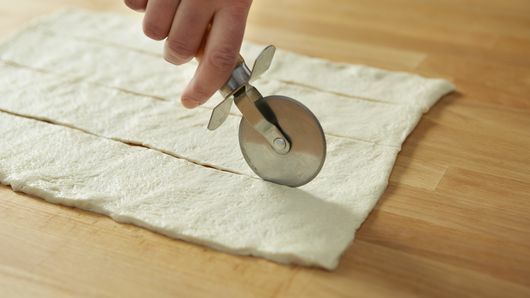 Unroll dough onto lightly floured surface; press to 14x12-inch rectangle. Cut lengthwise into 4 strips. 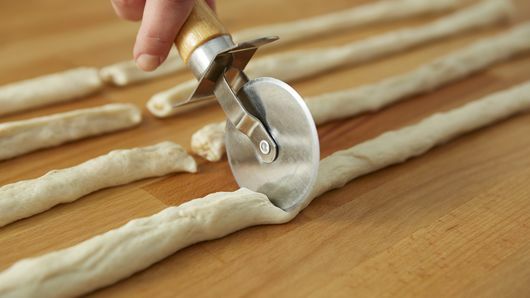 Spoon filling onto long edge of each dough strip. Stretch dough over filling, press to seal. Cut each strip in half, making 8 filled pieces. Stretch each piece to 12 inches. 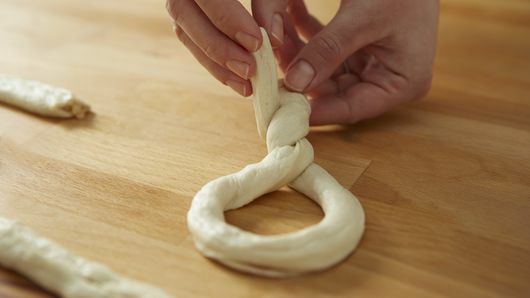 Form dough into pretzel shape. In microwavable bowl, stir baking soda and water. Microwave uncovered on High 1 to 2 minutes or until hot. 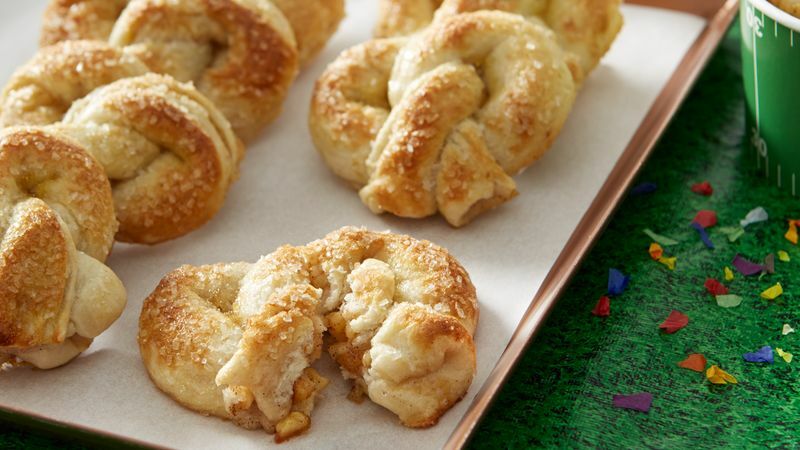 Brush each pretzel with baking soda mixture. Let stand 5 minutes. 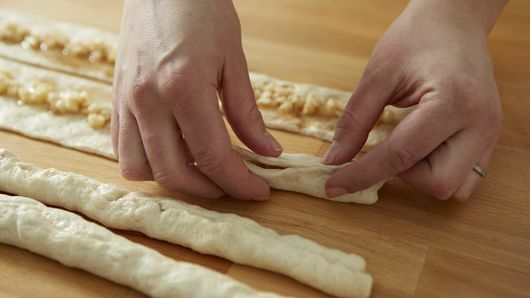 Brush pretzels with beaten egg; sprinkle with sugar. Place on cookie sheet. Bake 8 to 10 minutes or until pretzels are deep golden brown. Serve these sweet pretzels with hot fudge, cream cheese or caramel dipping sauce.